Genny has over 20 years' experience helping buyers and sellers from the North Shore to the Gold Coast. Her strong ties to the North Shore community began growing up in Wilmette. Today, Genny is raising her kids on the North Shore, she invests in a local Wilmette restaurant, and she participates as a trustee on the District 39 Educational Foundation. These ties to the community, local business and schools give Genny an intimate knowledge of the area and an advantage to matching her clients to both the home and the lifestyle they are searching for. Genny continues to work in both the city and suburbs, as she enjoys the constant energy and changes of Chicago. Prior to selling real estate, Genny had a career in marketing and over the years has worked with residential and commercial clients, developers, rehabbers, investors, and has even "flipped" a few properties of her own. 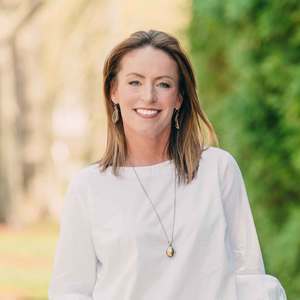 Today, with Compass behind her, Genny consistently provides unrivaled marketing, personal concierge service, and a detailed approach to real estate transactions by using the latest market data and trends. She has a passion for architecture and is knowledgeable in new construction, renovations, investment properties, or finding that “just perfect” home. Genny can confidently assist in making one of the most important financial designs of a lifetime. Home truly is where the heart is, so no matter the purchase price you will receive the same personal approach and professional commitment.